So finally after so many rumors and leaks, Google has announced it's 2017 flagship devices that are Pixel 2 and Pixel XL 2. 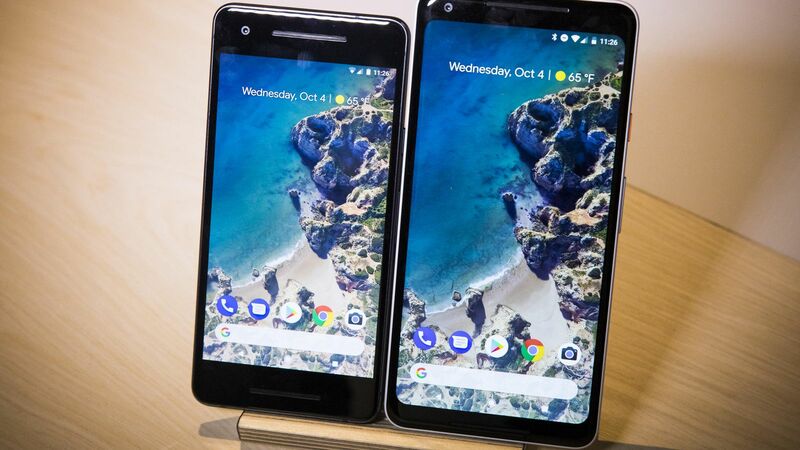 These two phones are successor to last year launched Pixel and Pixel XL. 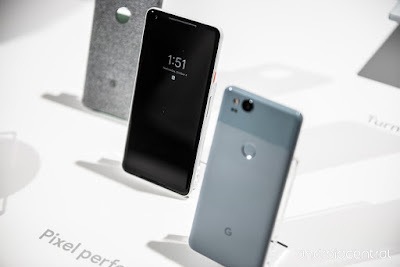 Last year Google started it's new smartphone series Pixel, in which all the smartphones in this are designed by Google. These smartphones are the first in market to get Google Android Updates. Last year Pixel smartphones were praised a lot due to their best camera performance than any other smartphone in the market. So this year these devices should also have good cameras, as cameras are focused a lot in the launch event. Also this year these have some new features in the department of Artificial Intelligence and Augmented Reality. So let's see some specs of the device and see whether these are worth buying flagships of the year or not. The design of the phone is more or less same for the both of the models. While the Pixel XL 2 has small bezels and has more screen to body ratio but Pixel 2 has comparatively larger bezels. 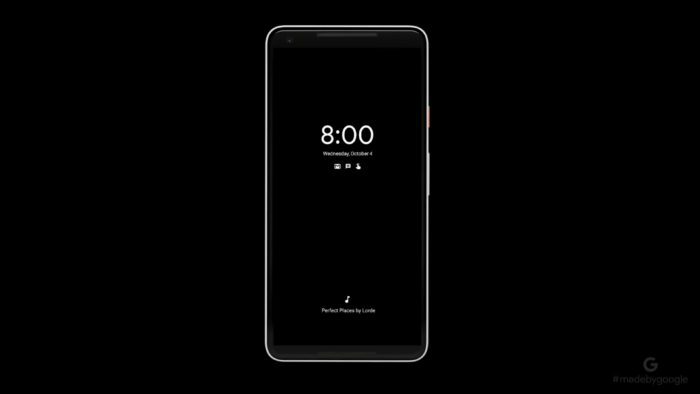 Pixel XL 2 has screen to body ratio 18:9 while Pixel 2 has 16:9. On the back the phone has aluminum back with small portion of glass as well on the camera portion. On front the phones have 5" and 6" screens with full HD and Quad HD resolution respectively. Also the front is protected by Corning Gorilla Glass 5. The build quality of the phone appears good same as there predecessors. Both the devices are not having 3.5 mm jack. But they both are having front firing stereo speakers for better sound output. The design of the phones don't appear very premium like other flagships such as Samsung Galaxy Note 8 and Apple iPhone X. It appears to somewhat boring. Also even if Pixel XL 2 comes with bezel less display it still have considerable side bezels which look very annoying. 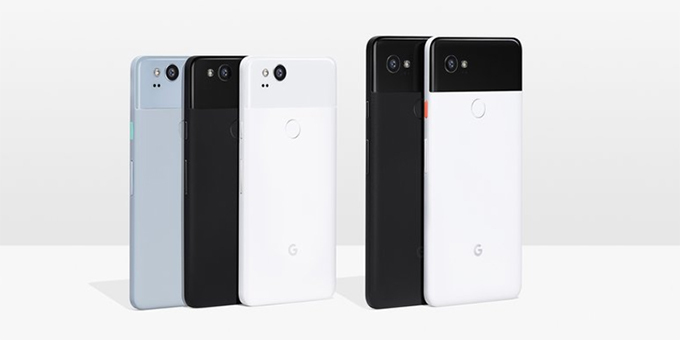 Pixel 2 comes in three colors which are black, white and blue while Pixel XL 2 comes in just black and black and white mix colors. Also this time we have colorful power buttons with red and neon colored. The performance of the phone will be really good. We already know about the performance of Qualcomm's Snapdragon 835 chipset which also powers many other flagship smartphones this year. This chipset is among the best performance chips of the year. So we shouldn't care about the performance of the device, it will be as fast as other flagships like OnePlus 5 and Samsung Galaxy S8 or may be even faster than them due to Stock Android OS. The most important component of the Pixel series is it's OS. 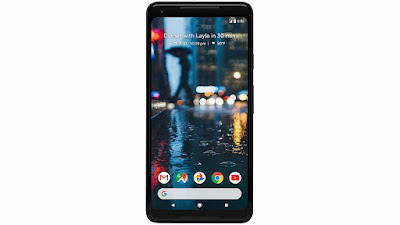 Pixel smartphones have stock android Operating System. Pixel 2 and Pixel XL 2 are powered by latest version of Android that is Android 8.0 Oreo. There won't be any bloatware in the device. The experience will be really good in the OS without any lags. Also the device is having always on display just like many phones. 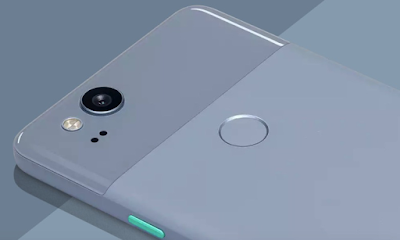 Both Pixel 2 and Pixel XL 2 have same camera specs. The phone is having a improved camera sensor of 12.2 MP with f/1.8 aperture lens. This time the device is having Optical Image Stabilization with Electronic Image Stabilization as well. Last year Pixels were among the best camera phones of the year. So this year the legacy should be maintained. There is a small camera bump this time. The phone also has portrait mode which blur the background and focuses on main object. But it doesn't use a secondary lens for the portrait shots, it uses dual sensor technology for this. It is done by software tricks. Also there is HDR+ mode which was also present on previous pixels for better dynamic range. This camera is very helpful in Augmented Reality. Yes this camera looks the surroundings around us in a 3D view and understands it. The front camera on the device is a 8MP shotter with f/2.4 aperture size. Also the front camera supports Portrait mode. So this is really cool. Also there are motion photos present on the camera which are 3sec videos just like Apple Live Photos. Augmented Reality: Augmented Reality is one of the most interesting feature in the world of technology. That's why Google has also implemented this in it's new device. Augmented Reality is the technology by which our devices see our surroundings in a 3D way. It acts as a link between Physical and the Digital world. As this phone can see the surrounding in 3D we can interact the world digitally on the phone and do many things on the device which can't be done physically. So implementation of this Augmented Reality is a very good move from Google. 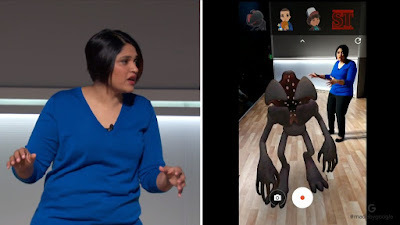 This technology is also very useful in some of the AR games which let the user to experience digital game play in a real world environment. Google has used this technology to include a very cool thing in their devices that is AR Stickers, this stickers acts as little characters. These little characters can be put in our scene, we can see them on screen beside us on the phone with the help of camera. And thus we can record a video or click a picture with these characters doing their cool stuff. There are many such characters which are available in these Pixel devices such as from SNL, Star wars, YouTube and NBA. This is very good implementation by Google. 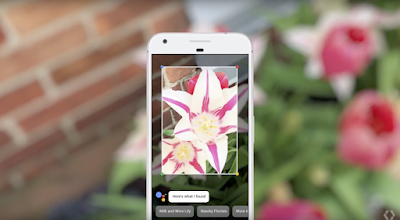 Google Lens: Google Lens is also a cool stuff from Google. Google announced this thing in I/O 2017. This is a kind of search in which when we focuses on some object or some written material with it's camera it searches about that thing on web and gives us some info about that. This is really helpful when we come across some new thing in our life and we just focuses on that with the phone's camera and we get info about that thing. Squeeze: So we know about the squeezable sides on HTC U11 which can do many things by just squeezing the sides of the phone. In this device we also get that technology but unfortunately we can only do one thing with that, we can only open Google assistant. We can't map it to do some other work. We can only customize the amount of force applied to make Google assistant active. Always On display: Another good feature of new pixels is their always on display. This tells us time and other notifications. Also the microphones of the device are always active so we can activate Google assistant at any time we want to open by just saying the hot word Okay Google. The most important thing is the pricing of the devices. Google Pixel 2 is priced at $649 and Google Pixel XL 2 at $849 in the US market for the 64GB versions. In India the phones are priced at 61000 INR and 73000 INR respectively. The pricing is fair by seeing the price of other flagship phone sin the same price segment.